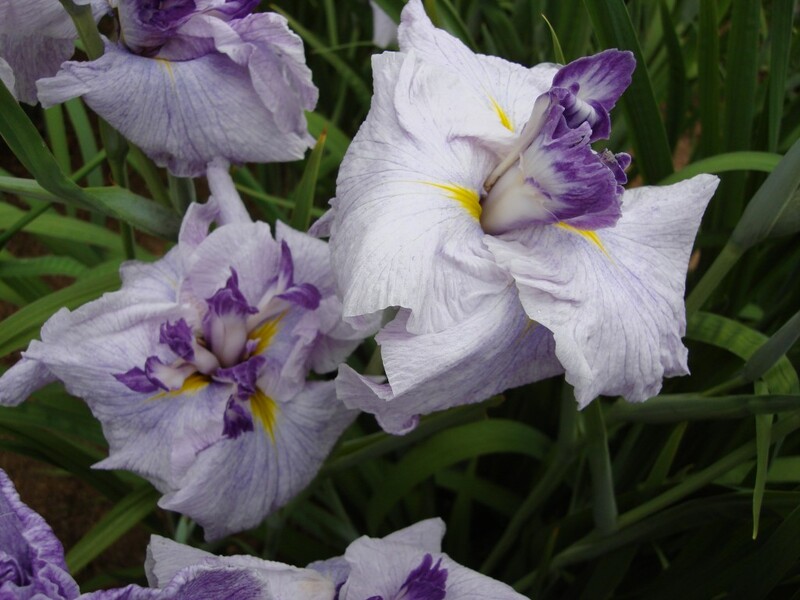 Japanese irises are a beautiful group of beardless irises which are the latest to bloom, about a month after the tall bearded and Siberian irises. 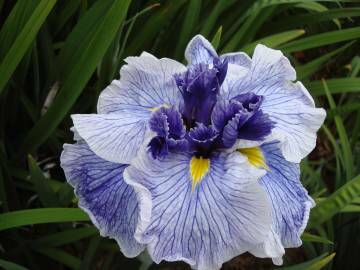 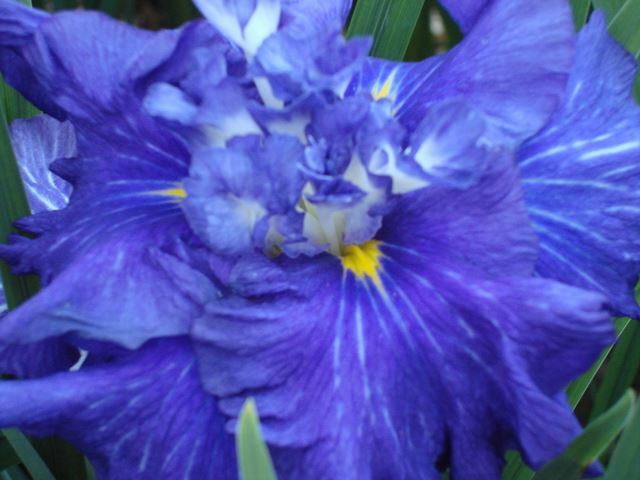 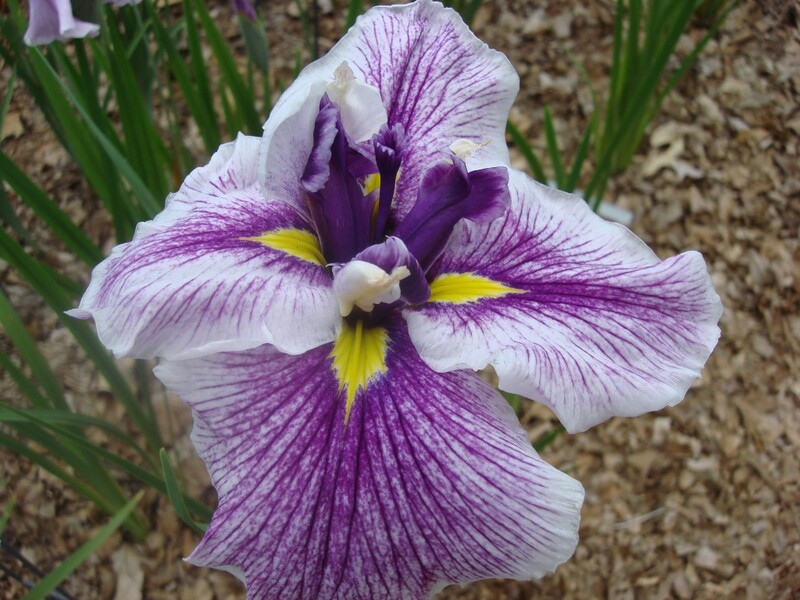 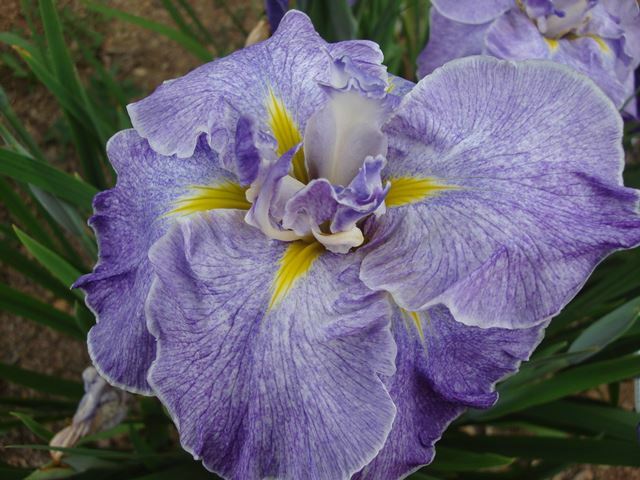 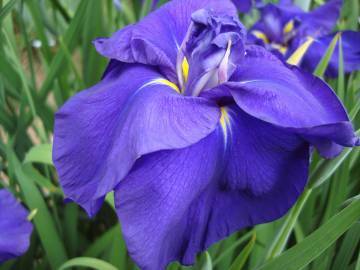 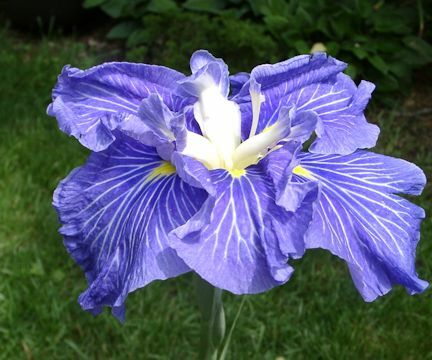 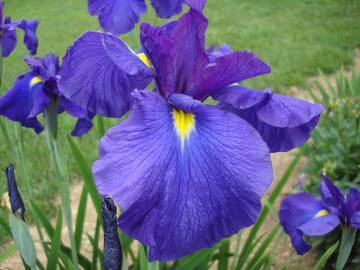 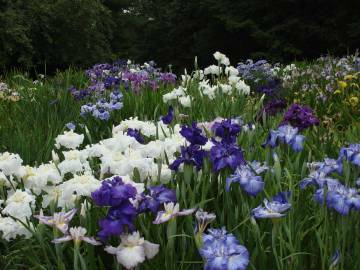 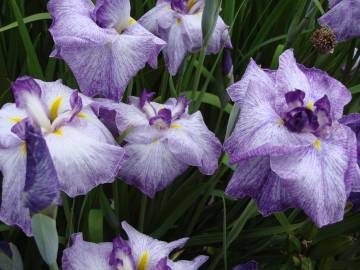 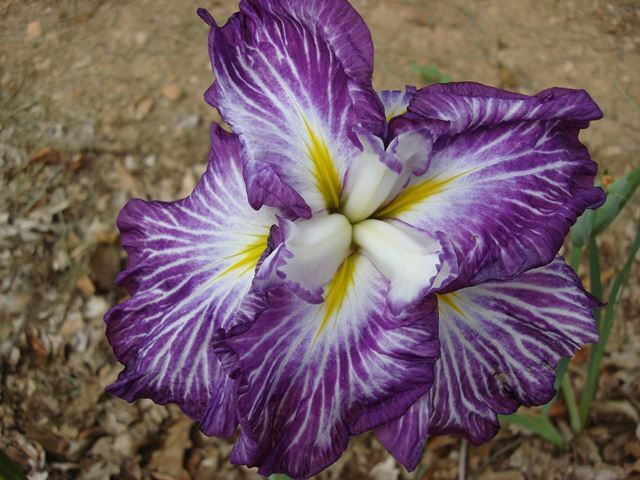 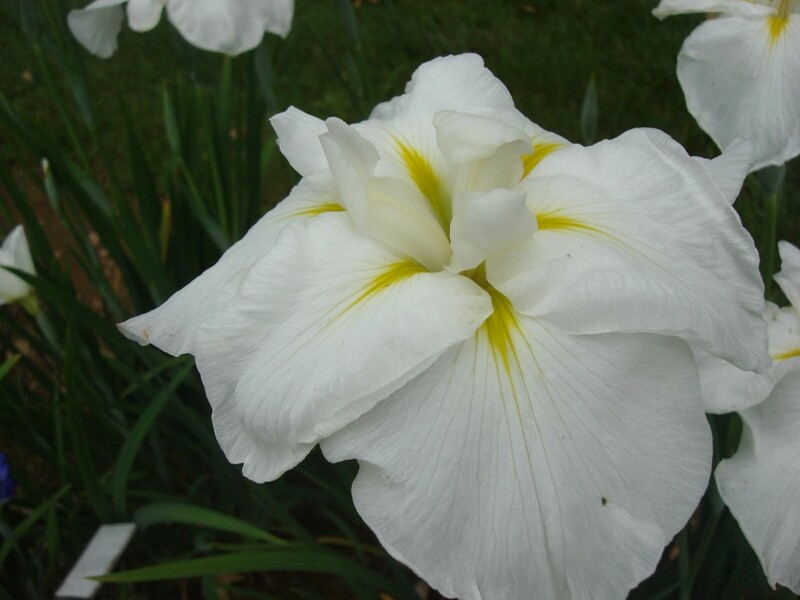 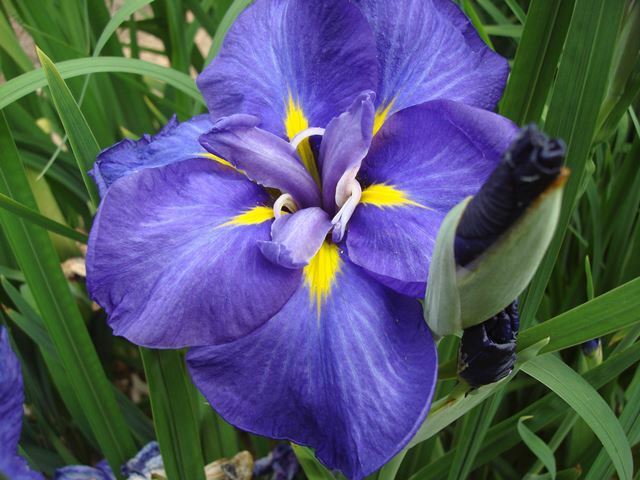 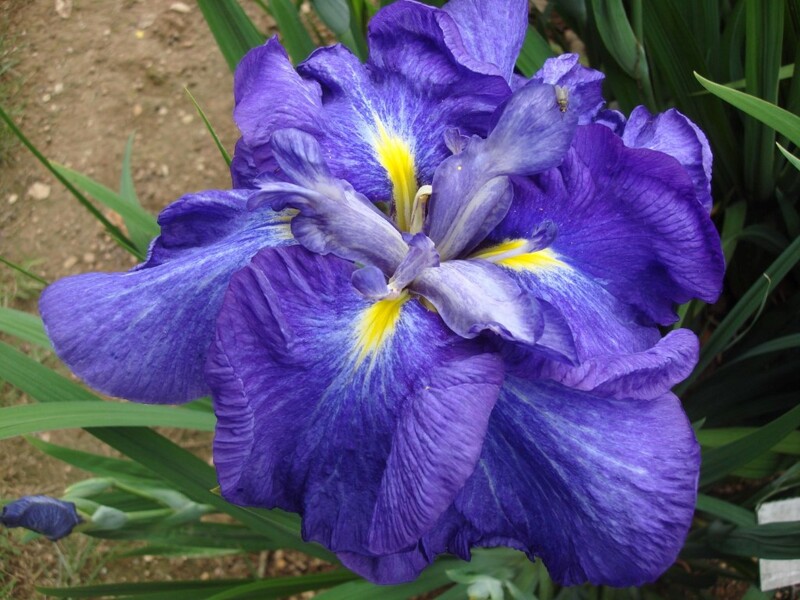 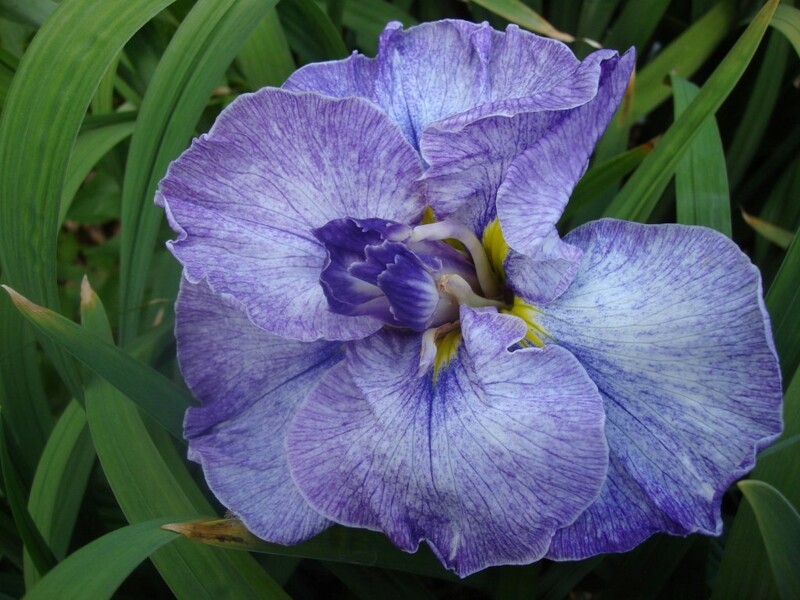 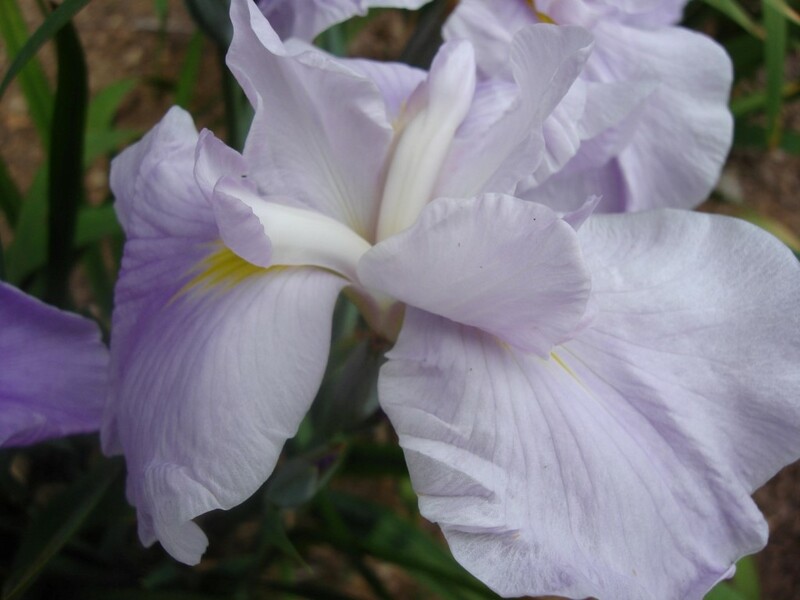 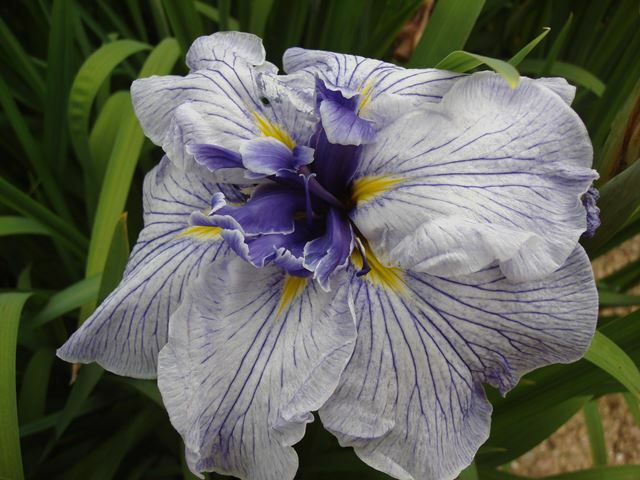 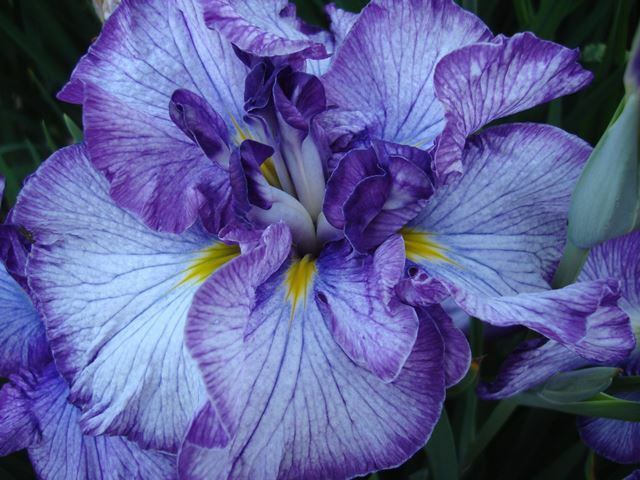 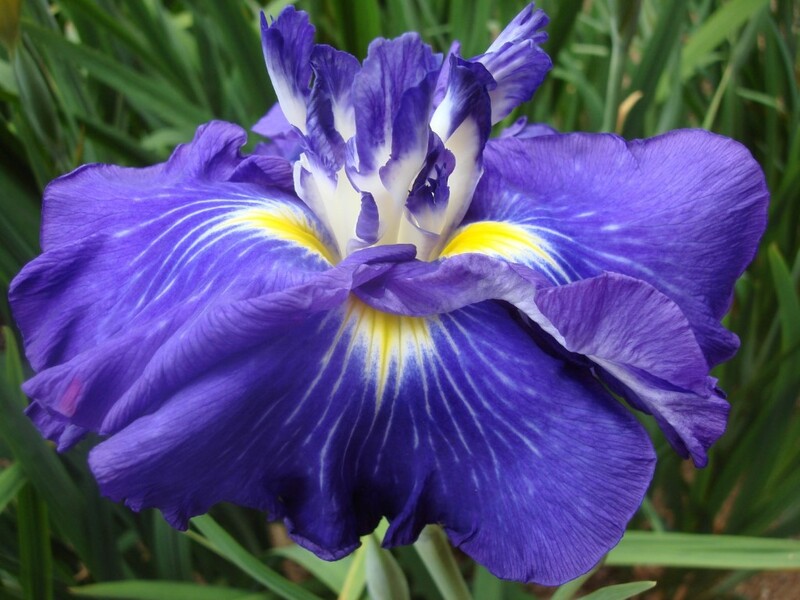 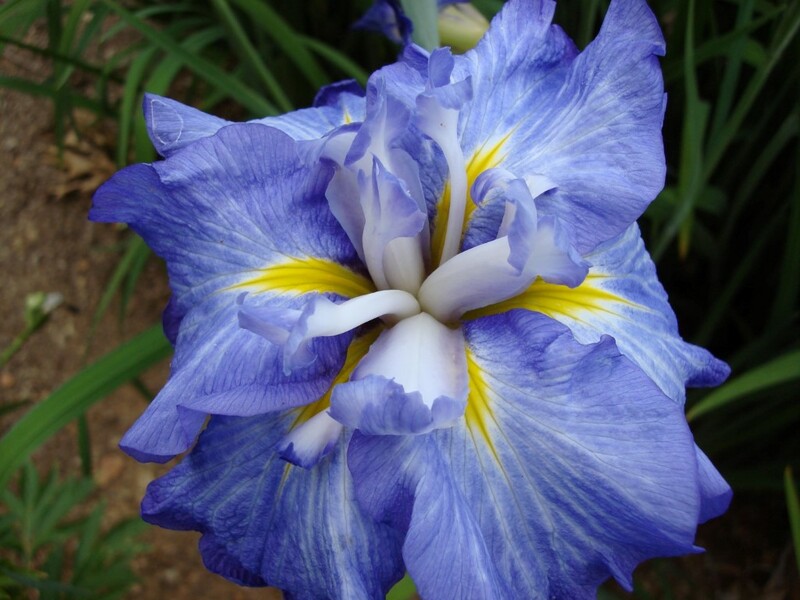 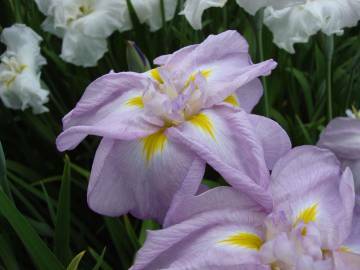 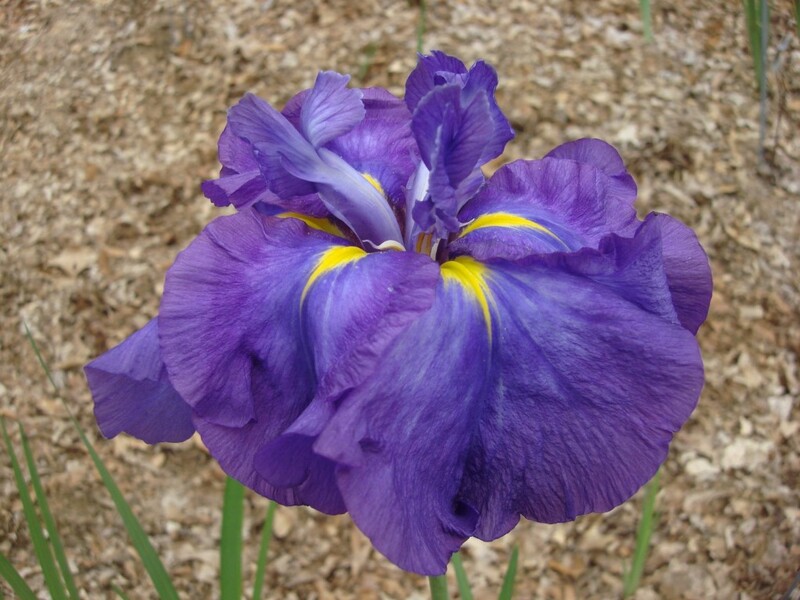 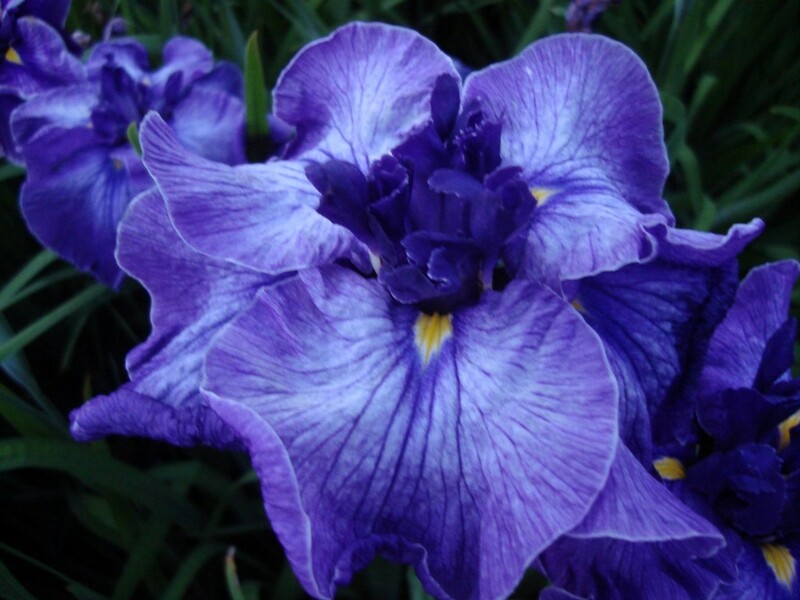 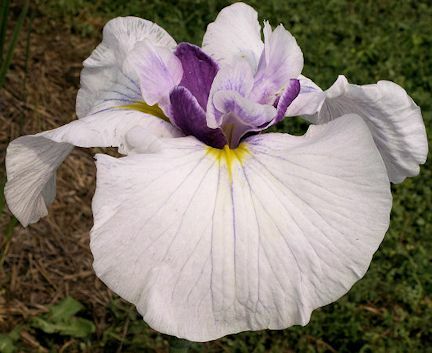 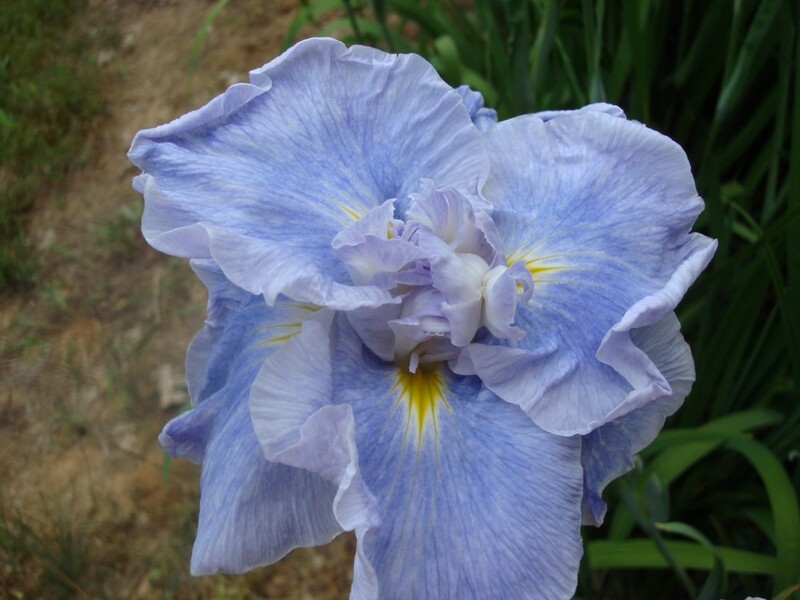 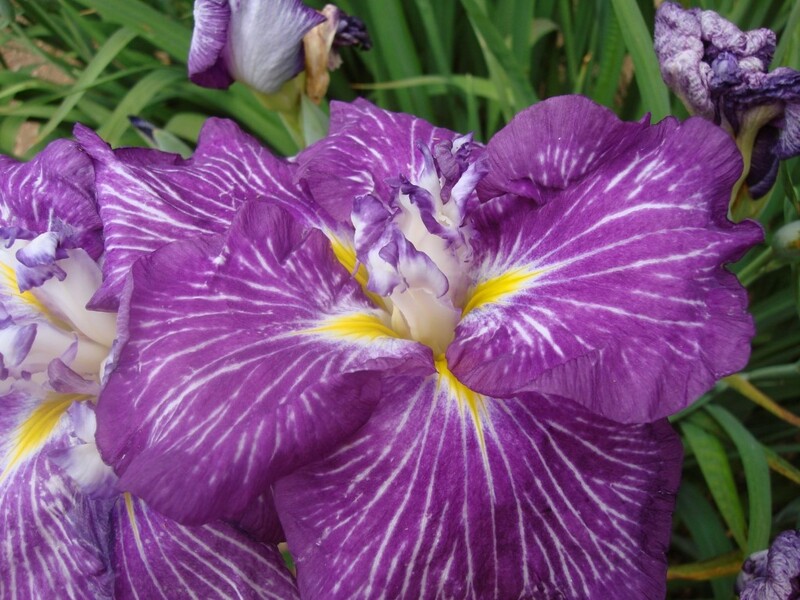 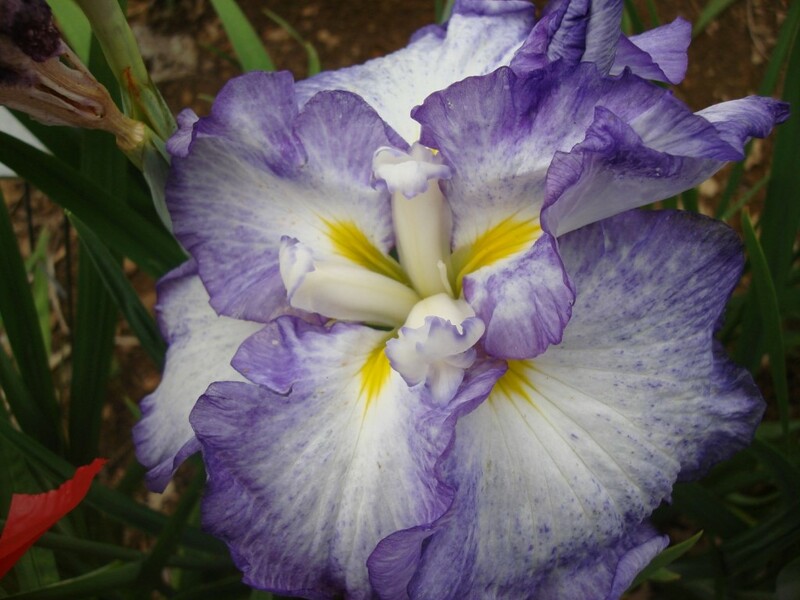 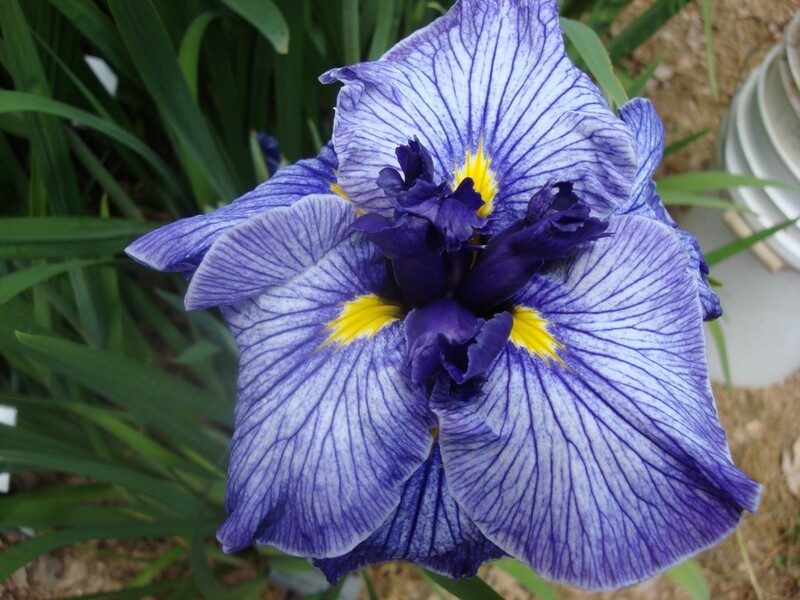 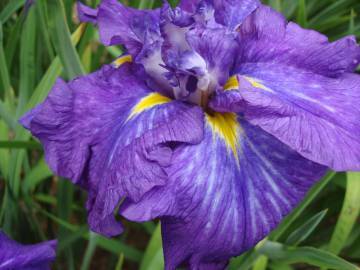 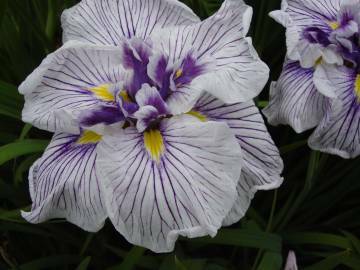 With the largest flowers of all irises, some reaching 12" in diameter with lovely forms, colors, and patterns, they require an acid soil and may require extra water or mulch. 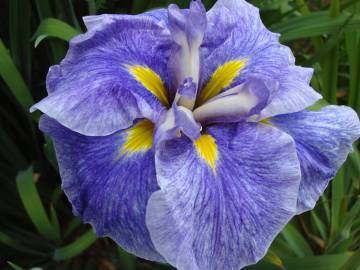 Here is a key to our abbreviations.